eBay.com.au has launched a new personalised shopping experience set to help Aussies find the perfect gift for Valentine's Day. 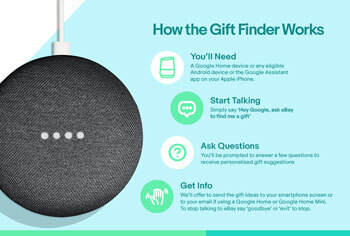 Available via Google Assistant, eBay's gift finder allows shoppers to sort through curated items to narrow down a gift that suits their loved ones taste and personality. By simply saying, "Hey Google, ask eBay to find me a gift", eBay will ask a series of fun questions to understand the gift recipient, and recommend the best products for them. The technology will recognise selections such as date night preference, hobbies and ideal getaways, to find gift options for hard-to-buy partners this Valentine's Day. Question: What is the eBay's gift finder? David Ramadge: eBay is creating a truly personalized shopping experience using Google Assistant. With this shopping assistant, we are bringing the best of eBay to your home with Google Assistant, making shopping as simple as having a conversation with a friend. With Google, we were one of the first to use its multi-surface switching capability, letting us carry the voice conversation on Google Home over to your phone. Question: Can you tell us about the new personalised shopping experience launched by eBay for Valentine's Day? David Ramadge: This week, we unveiled some fun new shopping experiences on Google Assistant that are just in time for Valentine's Day. We know that it's often hard to find the perfect gift, especially for your Valentine. With our Valentine's Day gift finder, if you simply ask "Hey Google, tell eBay to find me a gift" we'll ask you a few questions and surface up some items we think your Valentine will be interested in. Question: What type of questions will be asked to personalise the Valentine's Day shopping experience? David Ramadge: eBay's gift finder will ask users questions surrounding date night preference, hobbies, wardrobe style, ideal getaways and preferred movie genres to find gift options for hard-to-buy partners this Valentine's Day. Question: What are some of the perfect gifts for Valentine's Day? David Ramadge: Results for the perfect Valentine's Day gift are derived from different hobbies and interests, including 'The Photographer' to the 'Urbanite'. Depending on the responses selected, gifts range from the latest camera's and wearable technology to luxe decorative items for the home. Question: What do you hope to receive this Valentine's Day? 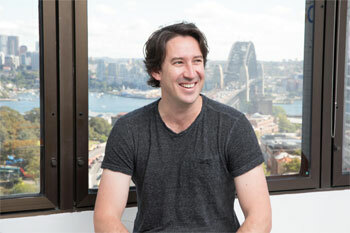 David Ramadge: As a tech guy, I'm always into the latest tech gadgets. But, honestly, I'm excited for it to help serve up some ideas as I hope to get my wife the perfect gift. Question: What's your favourite thing about the Google Home device? David Ramadge: Google Home helps brings to life the power of IoT devices in a safe and secure environment. Specific to commerce, the eBay gift finder helps provide an almost hands free shopping experience and takes the guess work out of buying and selling. With a fast paced schedule, that's exactly the kind of convenience I need.